CMC Group and Private Music Lessons. Please help support CMC by becoming a member! $50 per year - Individual Member - May be a person of any age. $100 per year - Family Membership - May include an individual along with that individual's parents, that individual's children, that individual's spouse, and all other residents of that individual's household (up to 5 people total). Each Family Member must be designated at the time of purchase of the Family Membership. 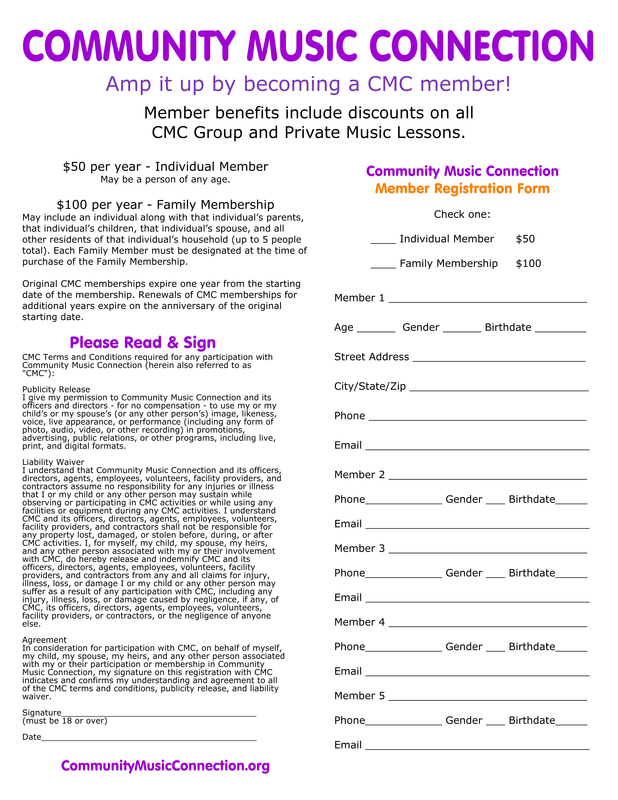 Original CMC memberships expire one year from the starting date of the membership. Renewals of CMC memberships for additional years expire on the anniversary of the original starting date.